Katherine is a 2014 graduate from The University of Maryland's Opera Studio, where she studied with Delores Ziegler and Linda Mabbs while earning a master's degree in Operatic Performance. She completed her undergraduate studies in 2012 at Carnegie Mellon University where she studied with Ms. Mildred Miller Posvar. Katie Baughman, DMA, is a versatile soprano with a love of opera, concert music and contemporary chamber music. She has been described as a “rocking soprano” with an “agile, resonant and sparkly” voice. This season, after her Kennedy Center solo debutin Dido and Aeneas with the Folger Consort, the Washington Post said she “almost stole the show”. Other performances this season include Steve Reich’s Tehillim with Great Noise Ensemble, Monteverdi’s Stabat Mater with District 8 Ensemble and Haydn’s Missa in Angustiis with Highland Park UMC in Dallas, TX. She is a soloist and chorister with the professional Choir of The Basilica of the National Shrine where she had the honor of performing as a featured soloist at the funeral of the late Associate Justice of the Supreme Court, Antonin Scalia. Recent performances include soprano soloist with The Advent Project performing Bach’s Wachet! betet! betet! wachet! ; Earl Kim’s Where Grief Slumbers with the University of Maryland Symphony Orchestra as a winner of the organization’s 2014 concerto competition; First Witch in Cathedra’s production of Dido and Aeneas; Adele in Die Fledermaus; Miss Wordsworth in Albert Herring; soloist in Brahms’ Ein Deutches Requiem; and soloist in Lucas Foss’ The Prairie. She has performed with the Johns Creek Symphony, Atlanta Community Symphony Orchestra, Young Audiences of Atlanta, and Capitol City Opera (Atlanta). She was winner of the Encouragement Award at the Georgia District Met Auditions, was a semi-finalist in the Orpheus National Vocal Competition and won the Gail Robinson Musicianship Award at the University of Kentucky's Alltech Competition. 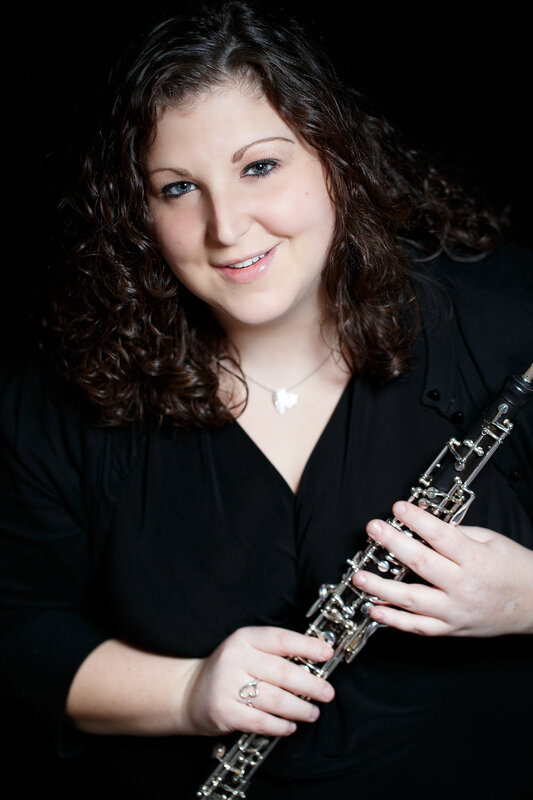 Natasha Costello is currently pursuing her Master's degree in flute performance at the University of Maryland. Originally from Texas, she received her Bachelor's of Music at Texas Christian University. She has performed with various large and chamber ensembles at both universities and was a part of tours to both the Texas Music Educator's Association Convention and Argentina. A member of the National Flute Association, Costello has also performed at the past two conventions in Washington D.C. and San Diego. Natasha discovered her love for music and the flute at a young age and has found a passion for teaching. She maintains a private studio and hopes to continue serving the musical community by passing on the love of music to her students. A native of New York, Miriam Friedman has performed extensively throughout the east coast of the United States and Canada, as well as Central America. Recent engagements include performances with the Pittsburgh Symphony Orchestra, American Balaliaka Orchestra, Capitol Wind Symphony and HUB Opera. She has performed at the Kennedy Center, Strathmore, Heinz Hall as well as Avery Fisher Hall and the New York State Theater in Lincoln Center. She has performed under the batons of Manfred Honeck, James Levine, Gerard Schwarz, James Ross, and José-Luis Novo. Her teachers have included Cynthia DeAlmeida, Elaine Douvas, Thomas Stacey, John Ferrillo, Hansjorg Schellenberger, and Maurice Bourgue. Miriam is a graduate of both University of Maryland and Carnegie Mellon. She is a freelancer in the greater Washington D.C. area. Ms. Sheriff has appeared several times in the Evolution Contemporary Music Series, with Lunar Ensemble, "Rhymes with Opera", and as a soloist with the Peabody Camerata, including a premiere of Thomas Kotcheff’s Piano Concerto for Chamber Orchestra. She was featured in the 2015 SONiC Festival, NY, performing Ruby Fulton’s “Cycle Loops” for electronics, keyboard, and bicycle. In 2012, Ms. Sheriff toured North America, performing new music for piano and aurally generated abstract projections by artist Dermot MacCormack. In 2012, she established Synesthesia, an interdisciplinary course between Maryland Institute College of Art and the Peabody Institute, now accredited by MICA. Prizes and awards include Yale's Norfolk New Music Workshop fellowship, Peabody's Frances W. Wentz Turner Memorial Prize in Piano, Bradshaw and Buono International Competition-First Place, Aspen Music Festival AACA Competition-Alternate, and the International Young Artists Piano Competition. She is the Assistant Director of the Peabody Children’s Chorus and teaches in Montgomery County Public Schools. She is especially looking forward to presenting a solo piano and electronics show with the local Thrive music series this fall, featuring works by Jacob Cooper, Missy Mazzoli, Caroline Shaw, and Jakub Ciupinski. Eric Sillers is currently a conductor, composer, and singer at large. Most recently the full time director at St. John the Evangelist in Silver Spring, he is also an ad hoc music coach, operetta director, and a composer and poet of new works. So great a proponent of new music is he that he actually married a musician, and performs with her on the odd occasion. Eric and Lizzie live with their two girls in Silver Spring, Maryland. He holds a B.M. in vocal performance from Shenandoah Conservatory.